If you don’t know about Communio, it began as an international quarterly journal of theology and culture, founded in 1972 Hans Urs von Balthasar, Henri de Lubac, Jean-Luc Marion and Joseph Ratzinger. There are currently about 15 Communio study circles in the USA that meet to discuss the published articles or some other agreed upon text as well as many other Circles worldwide. Over the years the journal has striven to live up to the ideal of the founders that Communio would form or enhance an interactive dynamic between committed Christian believers throughout the world. In 2005, a few months after one of the founders of Communio became Benedict XVI, a Communio Study Circle was formed in Memphis, TN which has met every month for the last eight years. This group, comprised of entirely of lay people, dedicates each meeting to Blessed Mother by beginning with a communal Rosary. 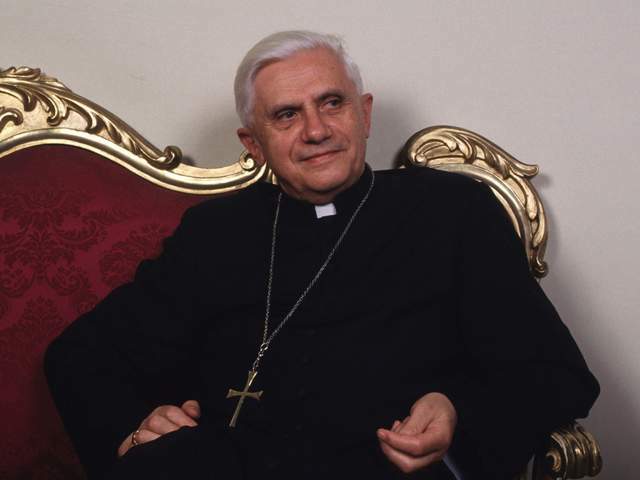 After that, the writings of Pope Emeritus Benedict are read and discussed. In observance of the Year of Faith, the Study Circle decided to concentrate on the Constitutions of Vatican II during each meeting.